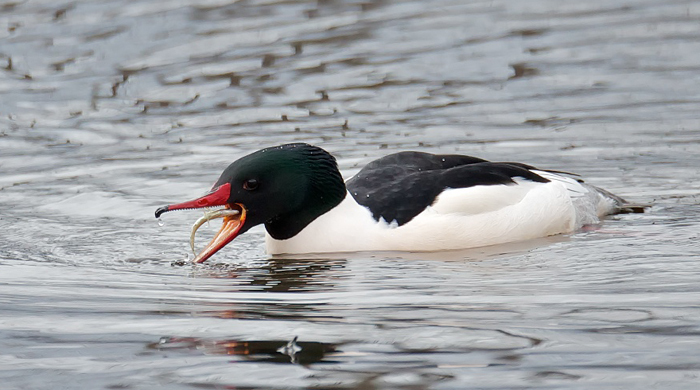 Around this time of year, Common Mergansers cross the US-Canadian border on their way to wintering grounds in the Lower 48. But how do they know when to go? 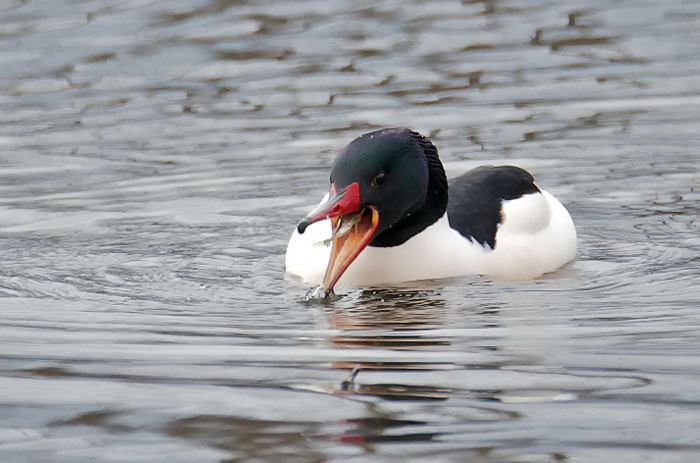 Ducks are well insulated against frigid winter temperatures, but mergansers can find their fishy prey only by diving below the surface of open water. 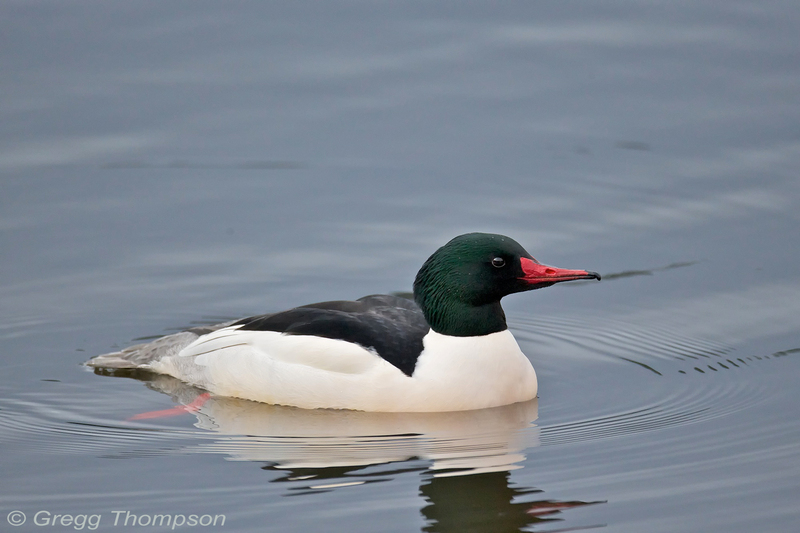 So they’re doing just fine, resting and feeding in southern Canada, until a thin veneer of ice forms on their lake, signaling the time has arrived to head south! 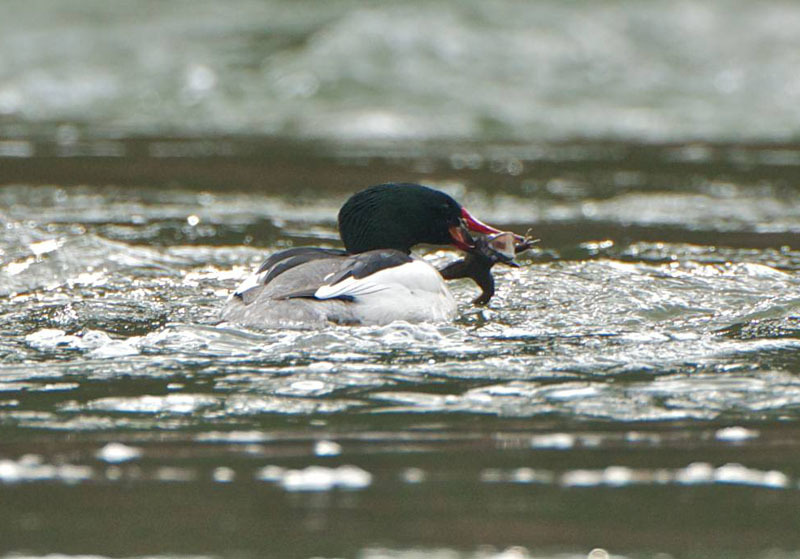 Around this time of year, Common Mergansers are flying south from Canada to wintering grounds in the Lower 48. 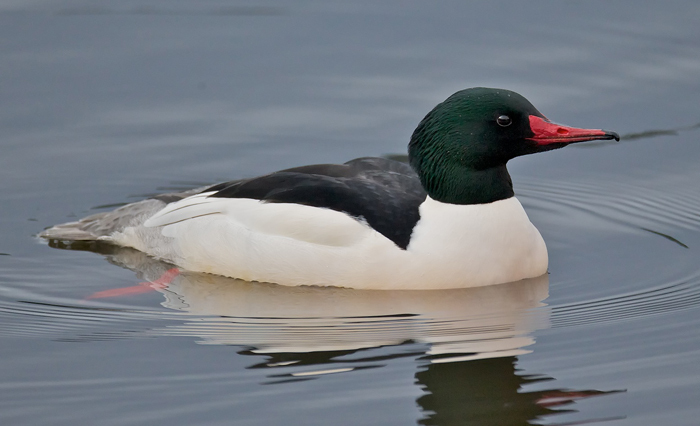 These ducks, like most birds, are well insulated against frigid winter temperatures. But they do have to find food, and they only can find their fishy prey by diving below the surface in open bodies of water. This show was written by BirdNote's science advisor, Dennis Paulson. BirdNote's producer is John Kessler. And I’m Mary McCann.